Mary Cariola Children’s Center School is a member of the 853 Coalition, who speaks on behalf of a broad spectrum of special education students enrolled in member agency schools – from those with emotional/behavioral issues to those with developmental challenges – by advocating, assisting and representing the schools which support and educate them. The goal of the Coalition is to advocate with government to establish sound laws and regulations as well as generate adequate resources and support to help member schools better accomplish their work. Mary Cariola President and CEO Karen Zandi is the current President of the Coalition. Each year the 853 Coalition organizes a “Lobby Day” in Albany for member schools to have the opportunity to advocate for important issues affecting their schools. 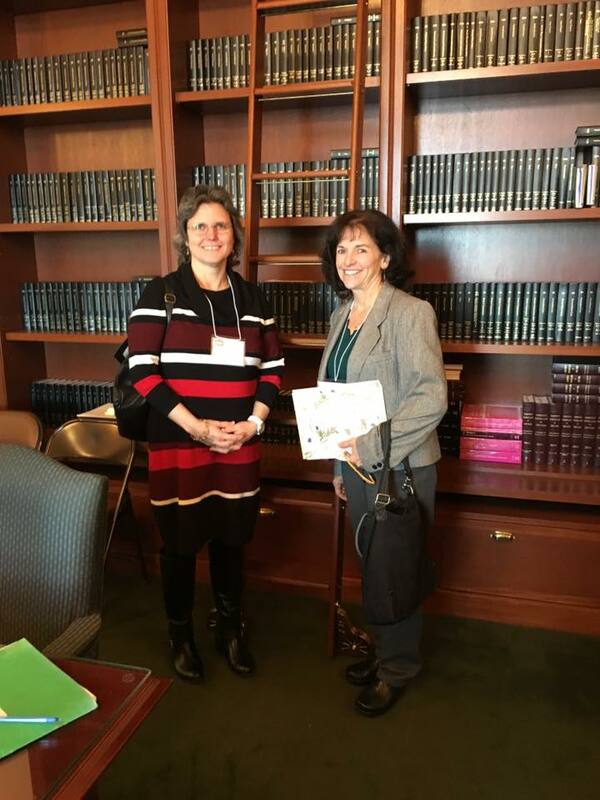 This year’s event was on March 7th, and Karen and Laura Wink, Teacher on Special Assignment, traveled to Albany to participate. Karen and Laura tell us the meetings were focused, encouraging and positive; everyone showed support and understanding of the needs of our school. Now we wait to see what may find its way into the final New York State budget.